Seminar #5 – Forgotten Transport – How can we make everyday walking more fun? Walking is the oldest travel mode in the world – and most of us do it several times a day. It has huge potential o fulfil critical health and low-carbon goals. Yet despite many well-meaning initiatives and projects the level of people walking for everyday purposes remains relatively static. Why is that? And how can we change it? 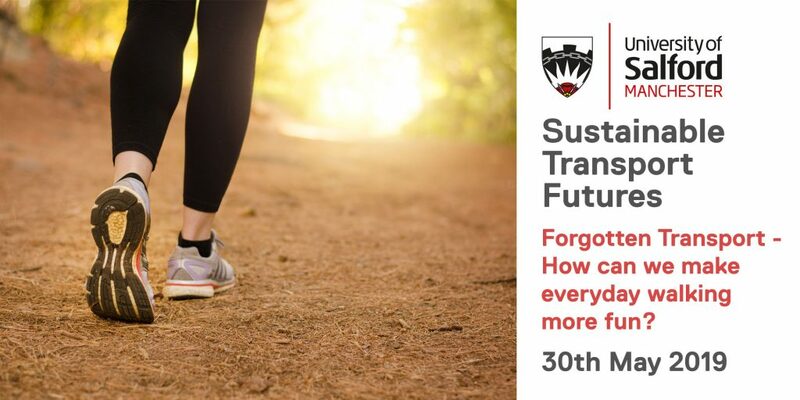 In this session you will hear from a range of speakers who have looked at walking in the context of both recreational and everyday circumstances. We will build a discussion around what can be done to translate the fun of recreational walking into everyday journeys of 2km or less in the city. Refreshments served from 12:00, with the seminar set to start at 12:30.